KANSAS CITY, Mo. 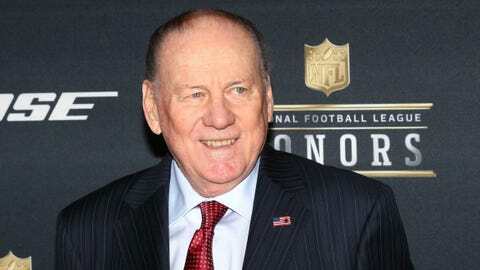 — The Chiefs renamed the broadcast booths at Arrowhead Stadium in honor of Hall of Fame player and broadcaster Len Dawson before their game against the Denver Broncos on Monday night. Chiefs chairman Clark Hunt called Dawson “a part of every major moment in Chiefs history,” while fellow Hall of Fame players Jan Stenerud, Willie Lanier, Bobby Bell and Curley Culp were also on hand.